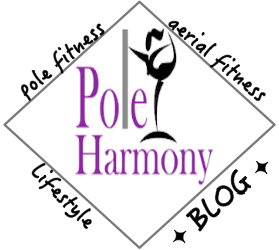 Pole Harmony: October is Breast Cancer Awareness Month! Every year, starting October 1st everything pink suddenly finds it's way to the store shelves. "Buy pink to support breast cancer awareness!" It's everywhere. I have even participated in purchasing items because they were pink and had the classic breast cancer marketing jargon attached to the item's packaging. But what are we really donating when we're making these purchases? I came across a post on social media this morning that got me thinking about all the breast cancer marketing tactics that exist to exploit this incurable disease. Last week, I wrote a blog post about workout equipment for a BOSU balance trainer that was pink. Pink in honor of breast cancer awareness. Again, the marketing worked for me. I bought into it an I participated in the hook, line, and sinker pitch. I decided it was my duty to learn more about this product I was pitching to my readers. Yes, I love using mine. I think it's a great workout. But I wanted to know more about how this piece of exercise equipment is promoting the classic pink products in honor of bringing awareness to breast cancer. As a Registered Nurse, the first thing that caught my attention during my quest for researching the BOSU balance trainer was an online article all about the product's ability to assist patients in breast cancer recovery through exercise. (Read more via the BOSU Breast Cancer Recovery Exercises article.) BOSU has worked with cancer specialists to develop a program specifically for patient recovery from breast cancer surgeries and treatments. The BOSU discount for the month of October does not claim to donate a special percentage of sales to any of the multiple research or funding organizations. This company is purely offering their product at a discounted price and educating those who have been affected by breast cancer or to trainers working with clients who have been treated for breast cancer in the importance of exercising post treatment to aid in their recovery. So there we have it. An honest pitch towards breast cancer awareness. Yes, the company profits but so does the customer. You're buying into a product and the knowledge and expertise put into the research of how to best utilize the product for this particular situation. I now feel vindicated in my decision to promote one of my new favorite pieces of exercise equipment to all my readers.